I’ve been working with my sister to plan my parents 50th wedding anniversary vow renewal ceremony. It’s been fun to pick out the venue and the flowers and cake and the dress. Yep, it’s been just like planning a wedding. You see, my parents planned a wedding in three days before he was shipped out to Vietnam, so this is a first for them. No one is going to throw a borrowed dress on my mom, the photographer will show up (I hope), and they were able to choose their cake. Fast forward fifty years and my parents are happily married and enjoying retirement. They travel all over the world, play golf, have date night every Friday night. It’s inspiring to see a couple still spending quality time together after all these years. Their big day is scheduled for August 6th, so I’ll definitely share some pictures of their original wedding and the vow renewal during my next scheduled post on August 23rd. During this planning process, everyone asks my parents how they’ve made it work all these years. My mother and father always respond with the same advice, it’s the 120% rule. You love and give to your partner more than you give to yourself, that’s how a marriage survives. For some reason, the last time I heard this I was inspired to do something extra special for my husband. The other night he mentioned to a guest about his mother’s orange pound cake. She passed away two years ago and I know how much he misses her, so I decided I’d attempt to make an orange pound cake from scratch. I knew it wouldn’t be his mother’s recipe, but I did my best. I’m happy to report that I didn’t burn the house down, and I was rewarded with a bright smile and request for a second piece. I think seeing him happy I ended up with the gift more than he did. I guess my parents are on to something, you really do have to care more about your partner in life more than you care about yourself. In case you’d like to know what recipe I used, please click here. I did make one substitution. I did orange glaze instead of syrup by combining two tablespoons fresh squeezed orange juice with one cup confectioner sugar. 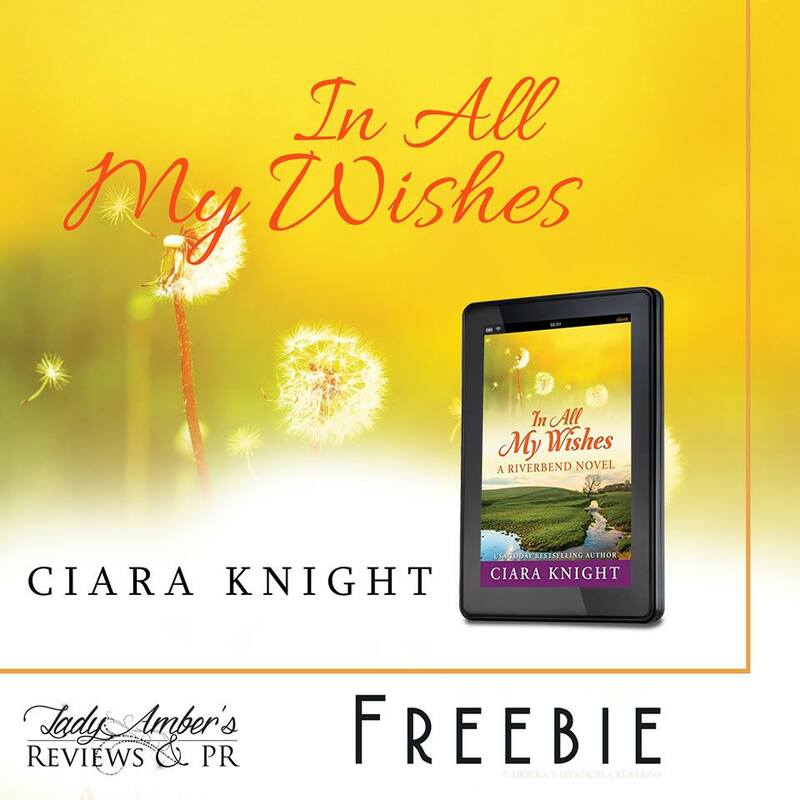 Through this weekend only, you can download In All My Wishes for FREE!! Also, you can receive the prequel novella, Riverbend, for free by subscribing to my newsletter. Click here to subscribe. That's a great rule for marriage or any relationship. Happy anniversary to your parents.